A fairytale wedding that would not have happened had it not been for twitter. See how this couple went viral and celebrated in style for their big day. Read more to see how two products can simplify and perfect your day to day look. Follow the jump to learn how you can get a natural and flawless look from using a correcting concealer wheel. Here is the tutorial for Lace Cosmetics NEW Powder Foundation and Bronzer that will be on sale SOON! 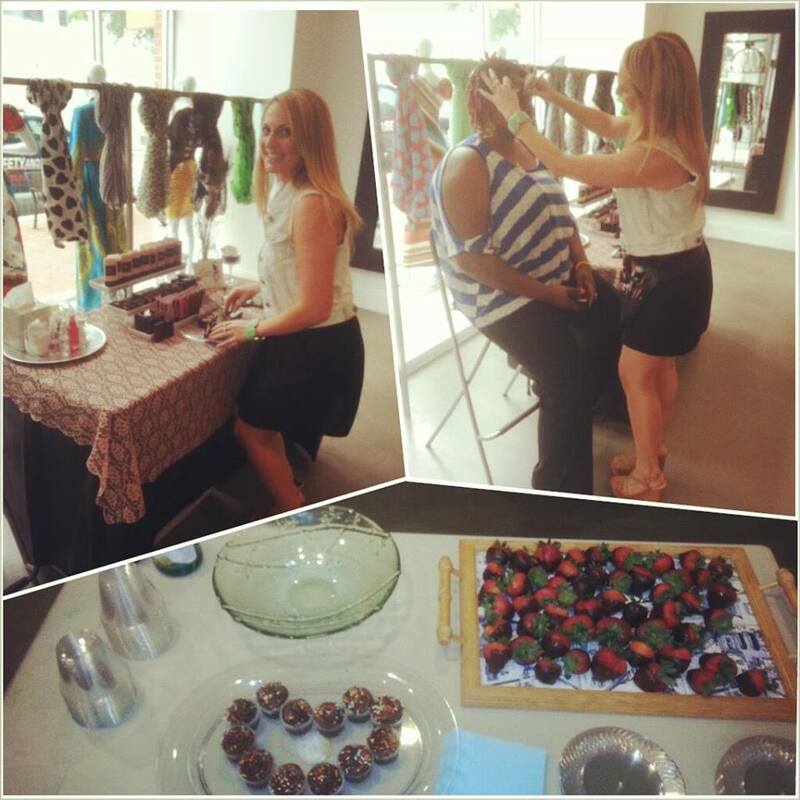 Thank you to everyone who made it out for the Grand Opening of Demure Boutique at Atlantic Station in Atlanta, GA! 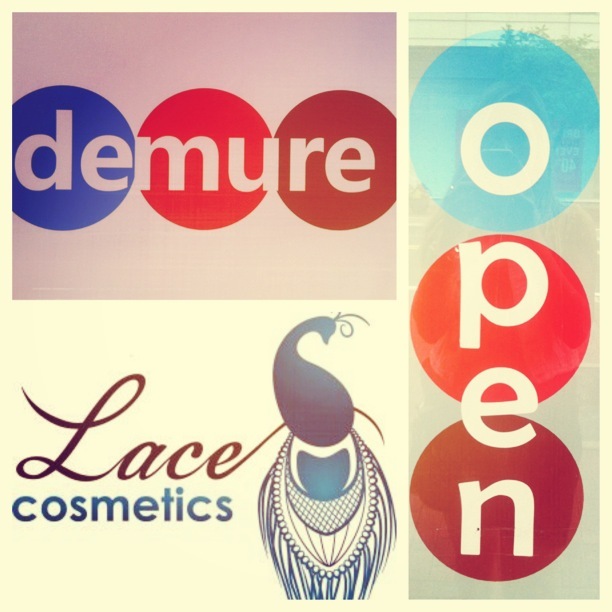 I had a blast sharing the day with my Demure ladies and showcasing Lace Cosmetics which will soon be carried at this location! Here is my photo diary of the day. Everything is out and ready for the opening! 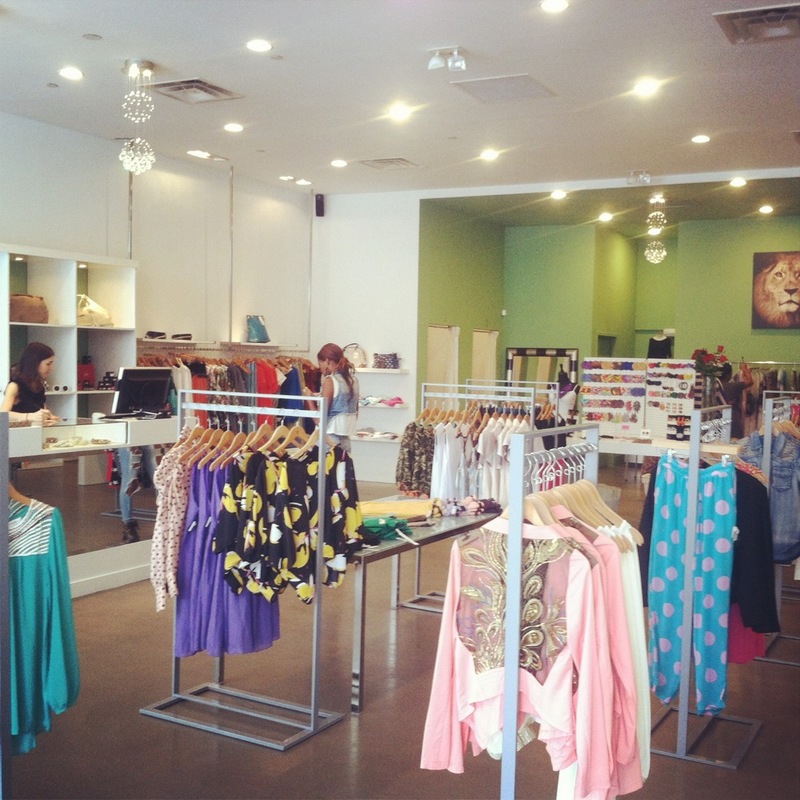 The girls of Demure are placing the final touches before we open the doors. Last chance to quickly mop the floors. Of course Laura has to raise the bar on how one should look while mopping. Diva! I have Lace's table set up and am ready to paint faces. I was thrilled that Tasha LaRae with Earjeans was showcasing her work as well! Tasha's jewelry is fun, funky and I absolutely LOVE it! Well Looky there. Ms. Tasha LaRae is the first one to hop in my chair. She couldn't wait to get our Orchid Eye Shadow on her lids. Happy Friday! We are so excited to see everyone this afternoon/evening at Demure for our T.G.I.F. event! If you are in the Atlanta area, make sure to stop by and see us! Get the details at the bottom of the page! Have a fabulous weekend and enjoy my five favorites from this past week. Favorite Laugh...Make that a snort laugh. Thank you to my Mom for sharing this with me. 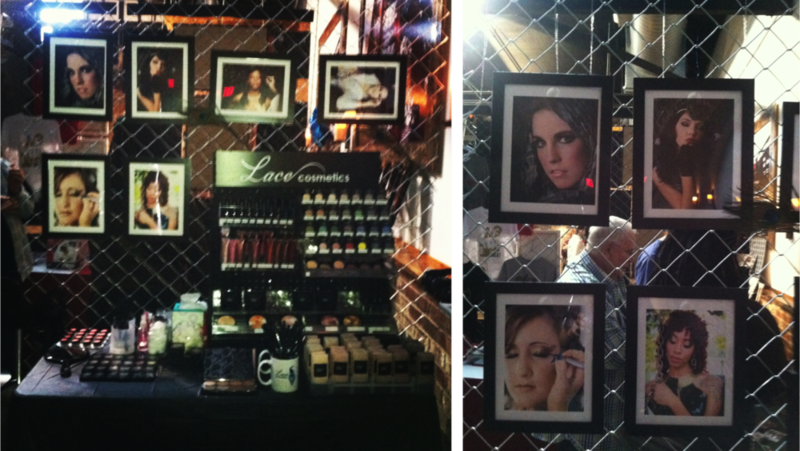 I am so pleased that I can finally share photos from the RAW Artists event where I was able to showcase Lace Cosmetics products and myself as a Makeup Artist. Here is my photo diary of the night. A look inside our venue, Terminal West. Up on the balcony is where my friends at SimColFM were broadcasting their shows live all day and night. 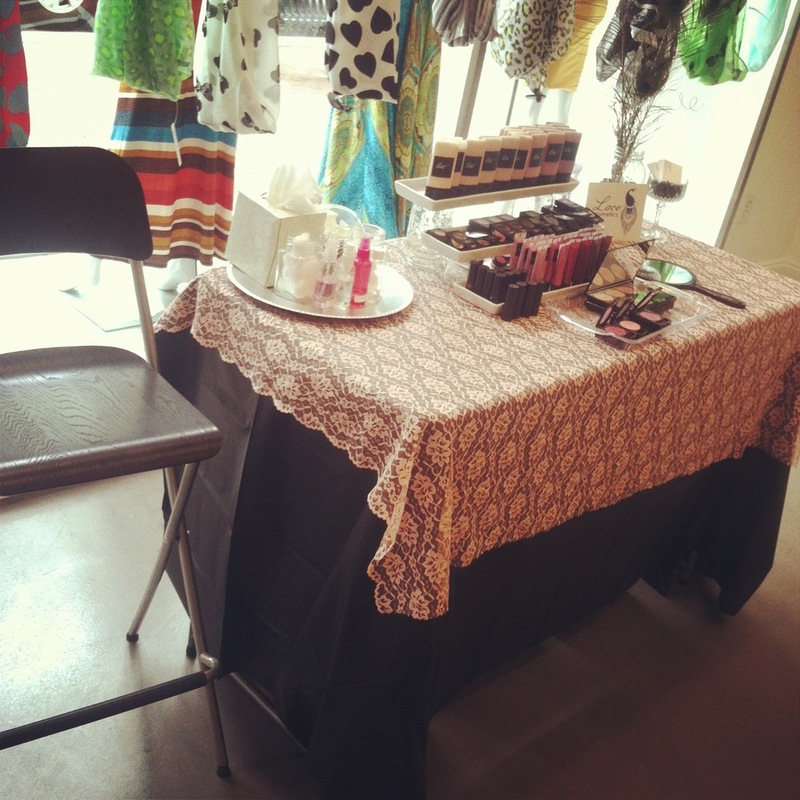 Lace Cosmetics was set up and ready to be introduced to new people. We lucked out and were directly in front of the entrance of the venue so you couldn't miss us! After set up was complete, I was ready for my radio interview with The Fashion Plate's Chris Martin. We also had the stations general manager and host of Revolution Radio Bryan Green joining us. Next piece of business, video interview with RAW. I sure was making my rounds that night! What can I say, even the men were loving Lace Cosmetics! I had so much fun at this show and would like to say THANK YOU to all who supported, donated and made it out that night! I look forward to the next! Also, congratulations to Jodi Foster. Her speech moved me to tears and with absolute class, she came out as a gay woman and announced her retirement without directly saying it. Watch her unbelievable speech below. 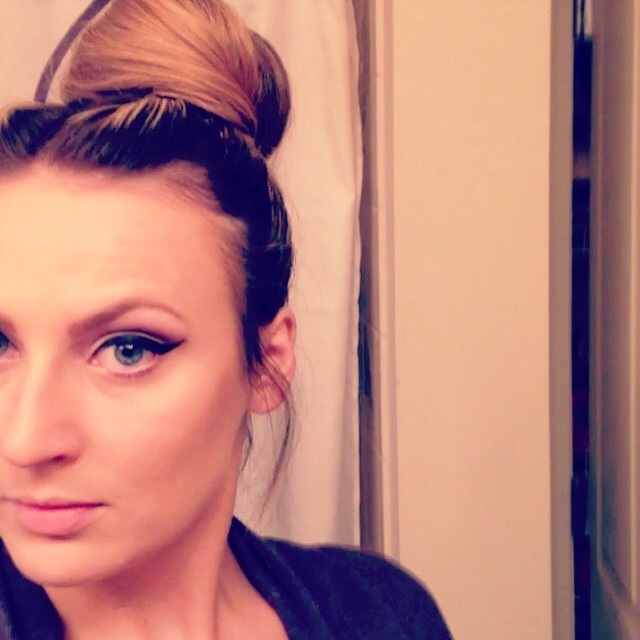 "Amanda, i wanted to let you know after a month of using Lace Foundation, i am in LOVE. my skin has completely changed and the coverage is amazing. I use maybe half the foundation i use with the millions of other products i have used. the Cafe Au Lait is absolutely perfect with my color AMAZING!! Thank you a ton for all your help and for creating such an amazing product. i have had so many compliments on how smooth and "uncakey" my makeup looks." Favorite Video...You will appreciate this if you have ever worked in a Department Store at a Cosmetic Counter. You have then seen every single one of these customers. SO FUNNY! I could not be more excited right now. Fall is around the corner and you can feel it in the air. I have a theory that everything good happens in the Fall. In Spring you do "spring cleaning" and in the Fall...well, I do what I call "fall organizing". I feel like this is the time when all that has been weighing on you falls away (pun intended) and you can just open your eyes, take a deep breath and reevaluate. Reorganize. Rinse. Repeat. As a part of my reorganization, I am about to rebuild all of my websites and rework many of my promotional materials. In the process of working on everything, I made a portfolio video that will promote my work with Wedding Wire. It is just a little something extra that I thought was really cute and does a great job of showcasing my work. 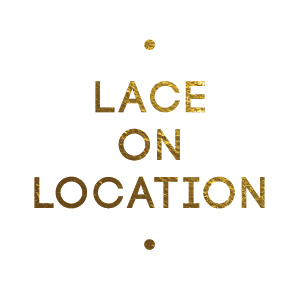 I hope you like it and make sure you follow our blog to get updates on everything happening with Lace Cosmetics and Amanda Ford Pro services!